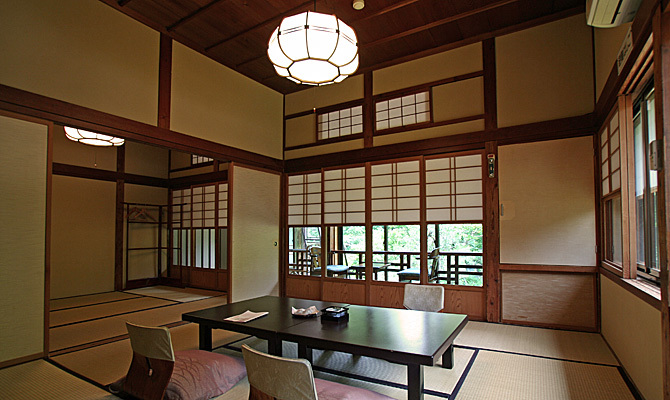 Ryokuhu-kan 2F [Chigusa] This inn is a traditional Japanese style. 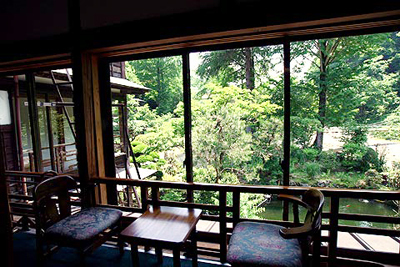 This is the corner room which can look at both garden and river. ※There are no restroom or bathroom. 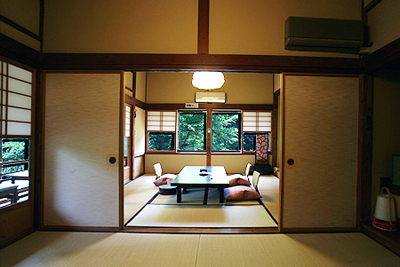 ※There is an elevator only in a new building"Keiryu-kan"